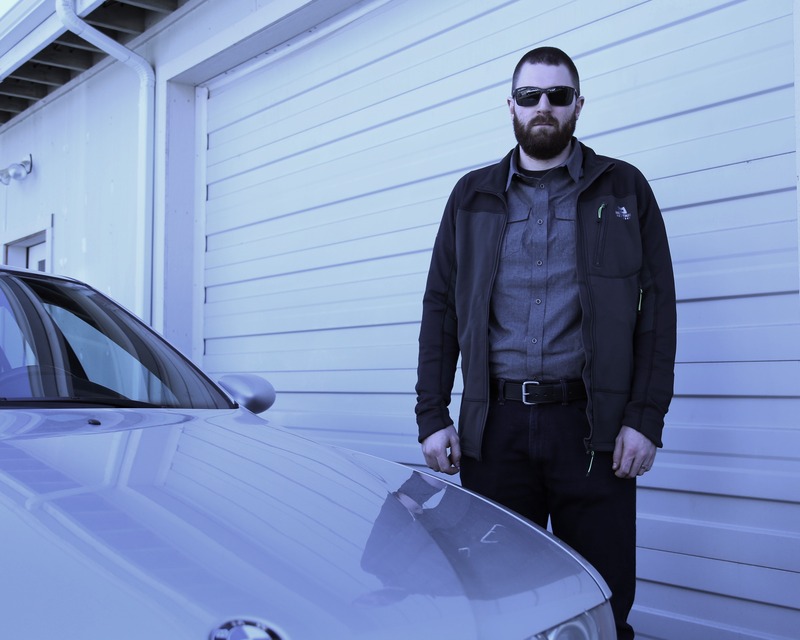 With the surge of concealed carry, we decided that it was time to take a look backwards and revisit some timeless styles and designs to see if we could update them in modern materials and construction techniques. A shoulder holster once was the defacto method of concealed carry. Everyone from movie heros to everyday people carried their guns in a shoulder rig. And yet the shoulder holster seemingly has fallen out of favor in recent years. Perhaps it's due to the advent of new materials such as Kydex and new carry styles such as Appendix IWB. Perhaps it's because most of shoulder holsters on market are made as cheaply as possible, with little attention to the important details. Just another piece of poorly constructed nylon destined to be forgotten in a drawer somewhere. For the longest time shoulder holsters were hamstrung by inferior retention systems, poorly thought out harnesses and bad finish details. But at GunfightersINC, we hope to change the trend of poor fit and bad materials. 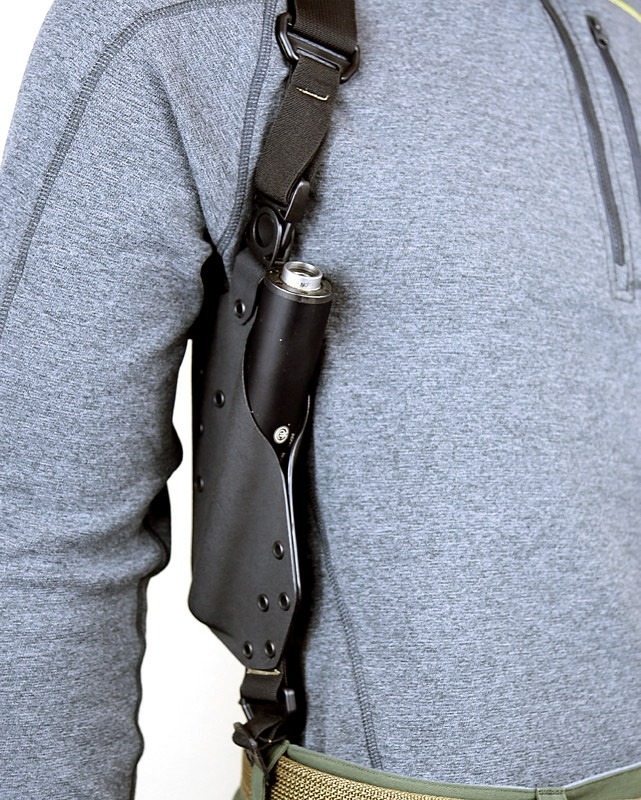 We've taken the shoulder holster back to the drawing board and fully re-engineered it to be a viable option for modern concealed carry techniques. 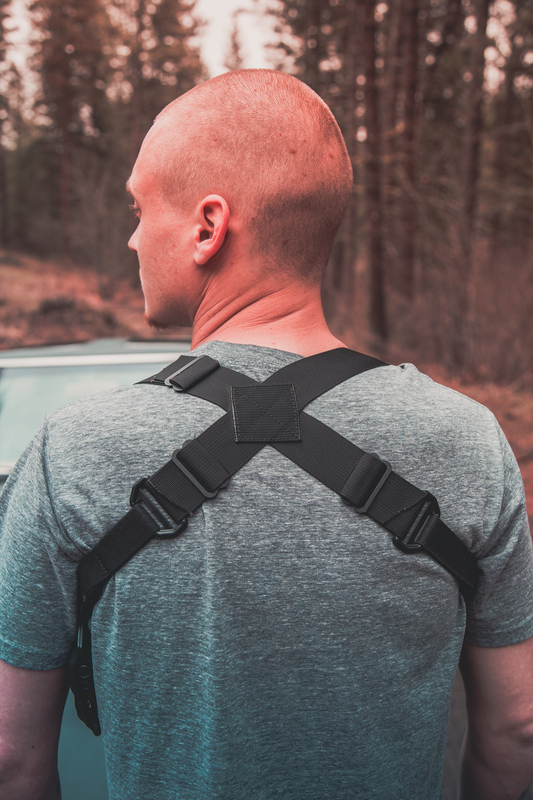 We designed the Spectre Shoulder Holster to carry your firearm at a 30° angle for the fastest and most efficient draw possible from a shoulder holster. 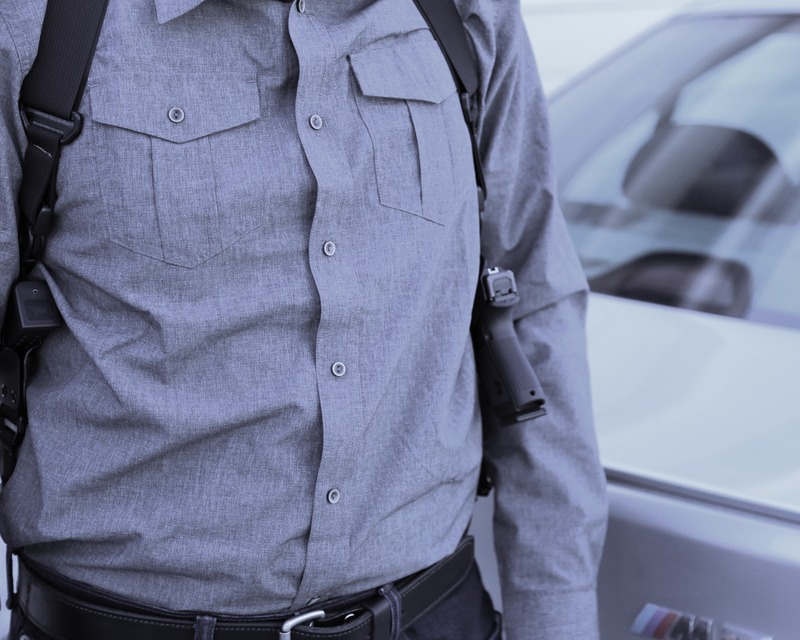 We have been extremely dissatisfied with typical shoulder holster designs on the market - most either orient the holster either horizontally or vertically, making for unnatural angles to draw and reholster. We also wanted to reduce issues of both printing and flagging that traditional shoulder holsters present. 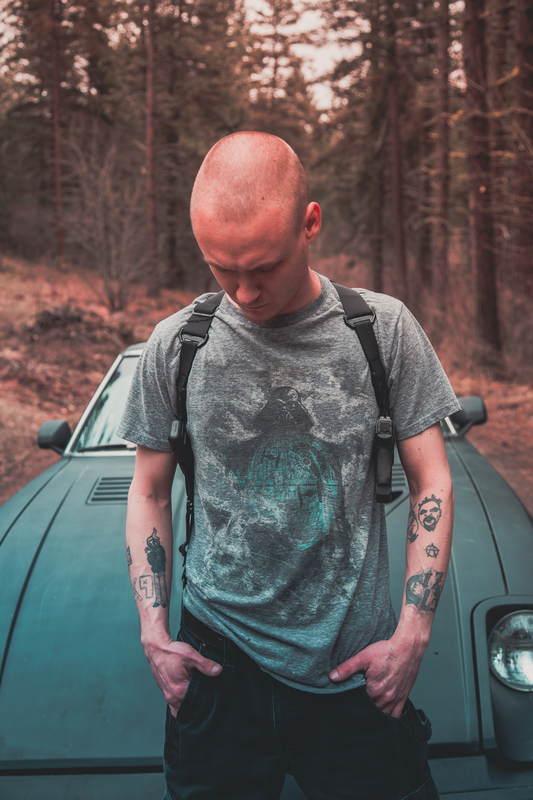 Having the firearm carried perpendicular with body creates the least natural angles for the lines of the gun to flow with the body, creating very obvious shapes printed through cover garments. 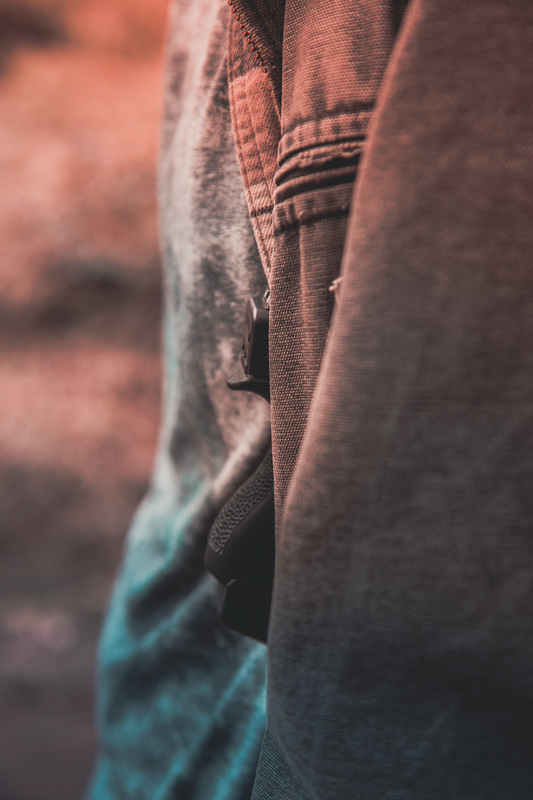 By running the firearm at an angle, we are able to take advantage of natural curvature and musculature of the body resulting in maximum concealment. 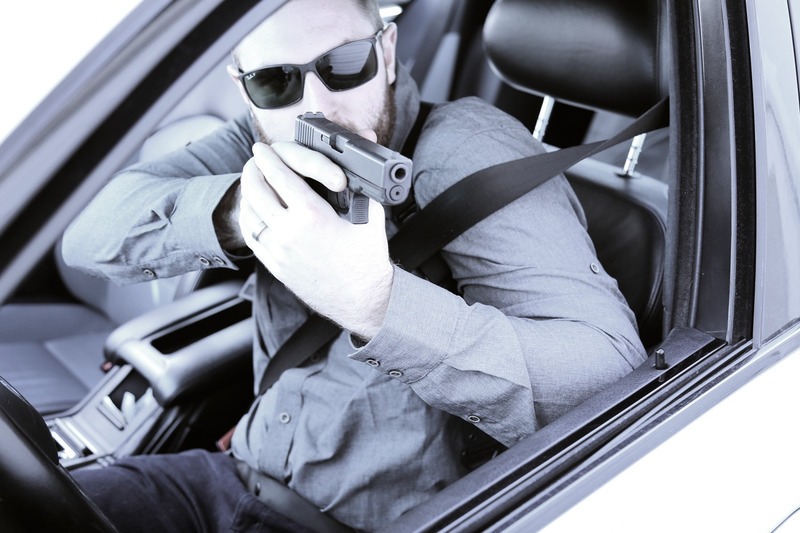 Anyone who has spent extended periods driving a vehicle or sitting at a desk while wearing a traditional OWB or IWB holster know that it's a recipe for discomfort. 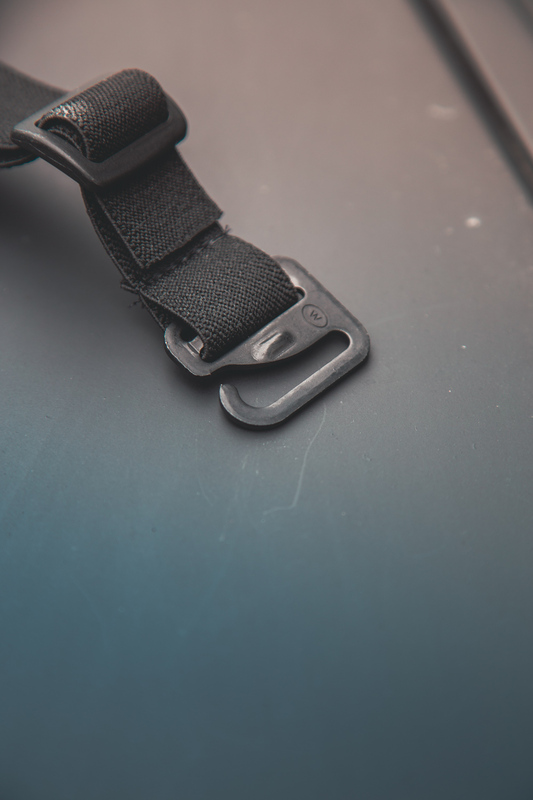 To compound the issue for right handed shooters, the seat belt buckle is often exactly where your gun is, making a smooth draw near impossible. For some, anatomic issues or past injuries make belt carry undesirable or even dangerous. Not everyone wants to carry a gun on their hip. 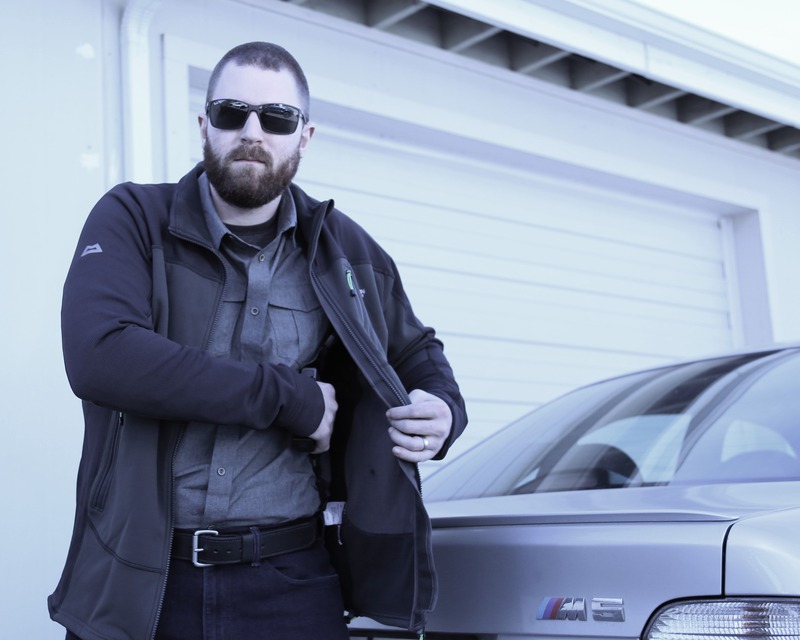 We are excited to offer something that pulls the shoulder holster into this century. 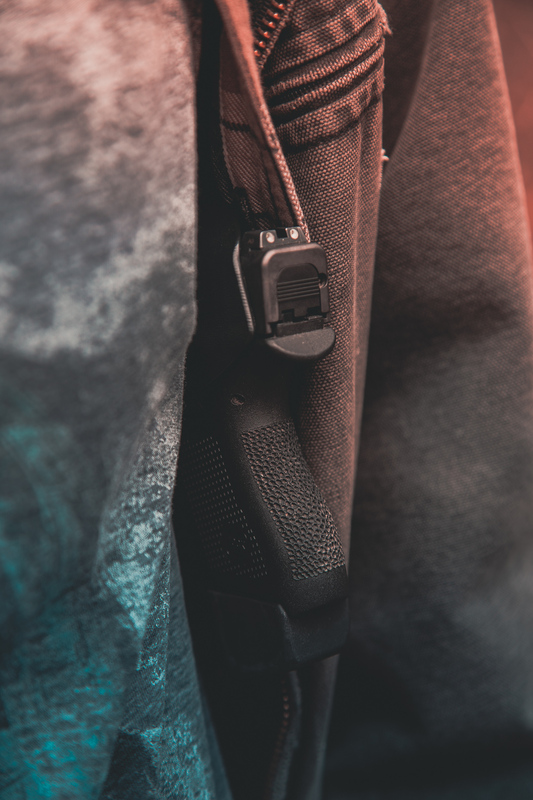 Each component of the Spectre Holster is attached by dual pivot points that allow maximal freedom of movement. These pivots can rotate up to 135° to accommodate all body types and shapes. 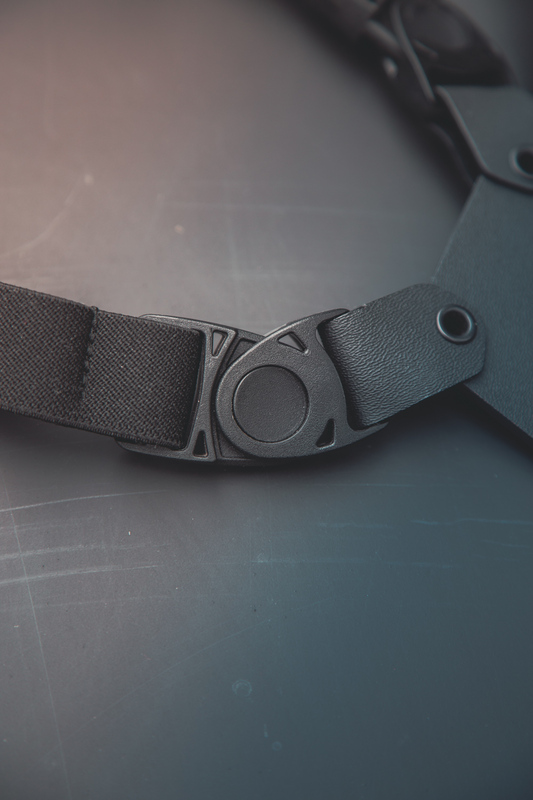 All holster parts are attached via 4-ply elastic for managed stretch when you need it. And a simple belt attachment system can be easily adjusted for different heights, or not used if you prefer. The 100% US sewn/sourced harness is 4-way adjustable to tailor fit to your individual body type and shape. We make it in house at GunfightersINC for maximum quality control. 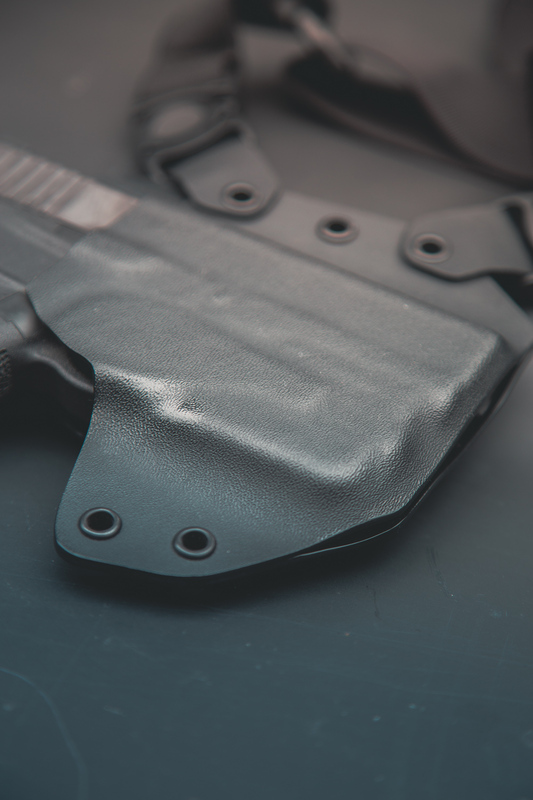 All edges are contoured, rounded and buffed keep the holster from snagging. All lines smoothly flow from one to another to prevent corners that poke or jab. 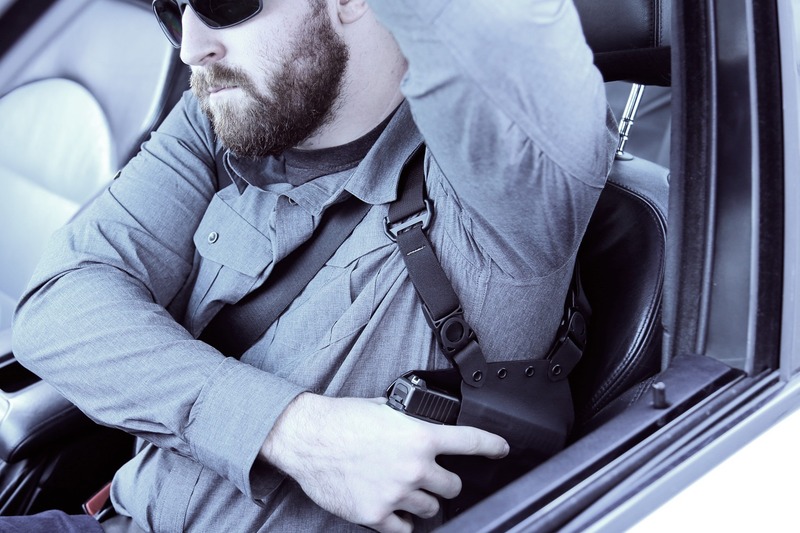 The Spectre is designed to be a modernized shoulder holster, designed for all day concealment. Webbing and buckles come in black only. Modular System allows you to choose your setup appropriate to your situation. Subject to 3-5 week lead time. Choose the module for Position 1. This is for the module you'd like under your left arm. 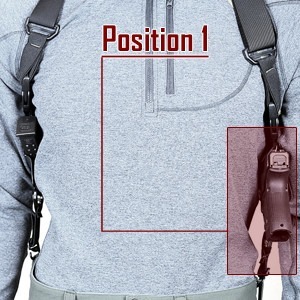 Right Handed Shooters should select a Pistol Holster. Left Handed shooters should choose a Mag pouch. Or choose your own adventure if you want 2 magazine pouches or pistol holsters. 911 .380EMP 3" 9mmXD 3" SubcompactXD 4" ServiceXD 5" TacticalXD Mod 2 4" ServiceXD Mod 2 5" TacticalXD Mod 2 SubcompactXD Mod 2 Subcompact .45XDE 3.3"XDM 9/40/45 3.8"XDM 9/10/40/45 4.5"XDM 9/10/40/45 5.25"XDS 3.3"XDS 3.3" w/Crimson TraceXDS 3.3" Mod 2XDS 4"
Let us know more about you firearm. The more details about the specific modifications to your firearm, the better. Model of Optic and Mount? Choose the module for Position 2. This is for the module you'd like under your right arm. 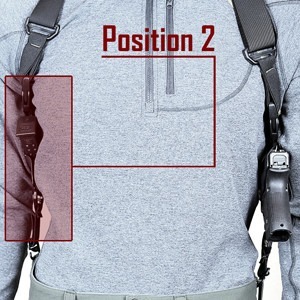 Left Handed Shooters should select a Pistol Holster. Right Handed shooters should choose a Mag pouch. Or choose your own adventure if you want 2 magazine pouches or pistol holsters. Use this area for any aftermarket/non-standard parts or special requests. I just received my specter shoulder holster yesterday. I have yet to carry it, but the hardware and materials are quality and it fits my gun perfectly. My only complaint is that there are no instructions on how to properly adjust/wear the holster. Other than that I am completely satisfied with my purchase. Great holster, I have been carrying a Glock 22 for a while using this during all “jacket weather” times of year, which is a lot of the year in Wisconsin. Easy and quick draw, very secure, minimal bulk. I switched the gun shell after a while to accommodate modifications made to the gun and a different light. Very comfortable holster once it is adjusted properly, although I do wish adjustment tips/instructions were included or posted on the site. 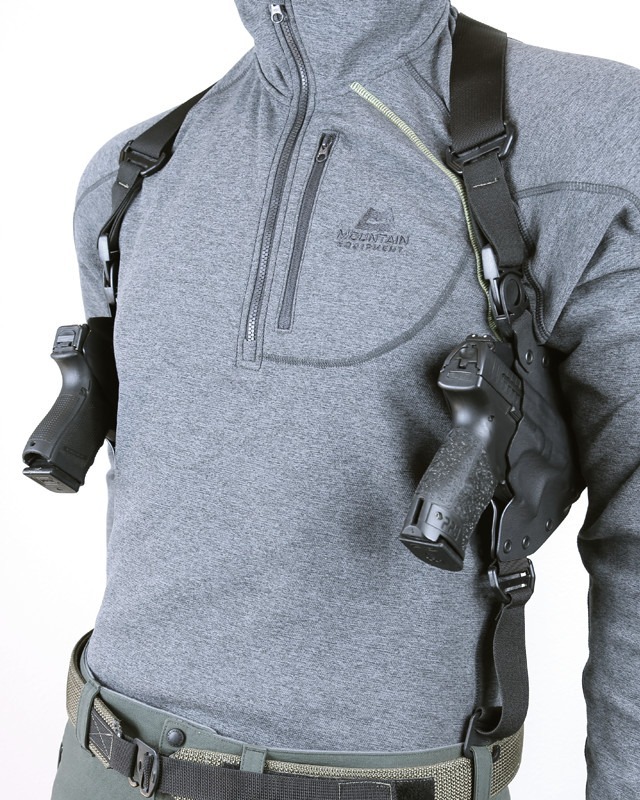 It would also be nice if they had different styles of tie downs to more securely anchor the holster to a gunbelt. Nobody gets a five, only because I carry a hand cannon. That being said in a world of “you get what you pay for” this holster is legit buy it, or don’t perfection can’t be everyone’s cup of tea. 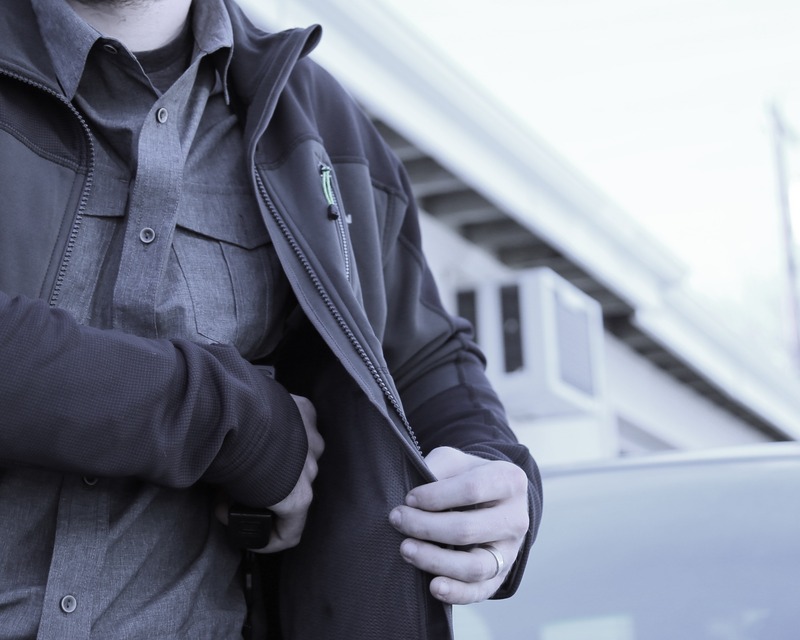 With the surge of concealed carry, we decided that it was time to take a look backwards and revisit some timeless styles and designs to see if we could update them in modern materials and construction techniques. A shoulder holster once was the defacto method of concealed carry. 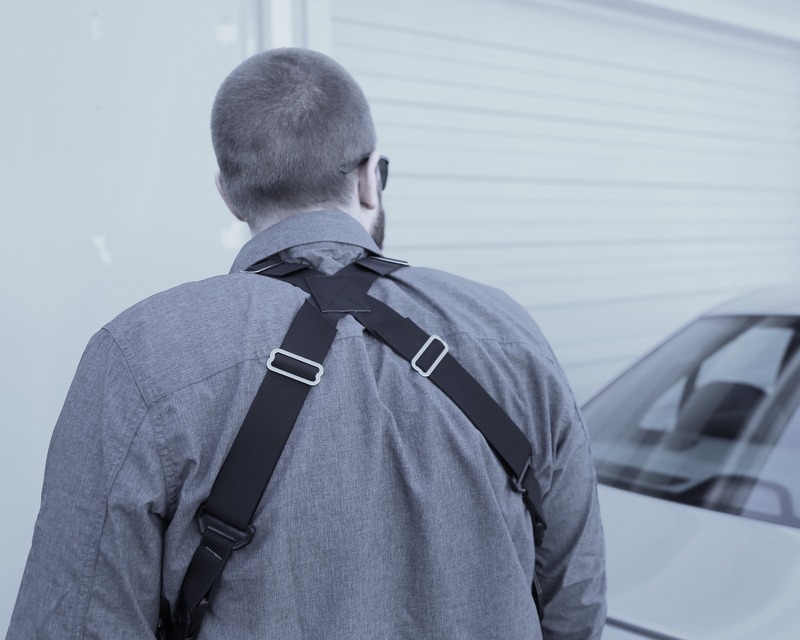 Everyone from movie spies to everyday people carried their guns in a shoulder rig. 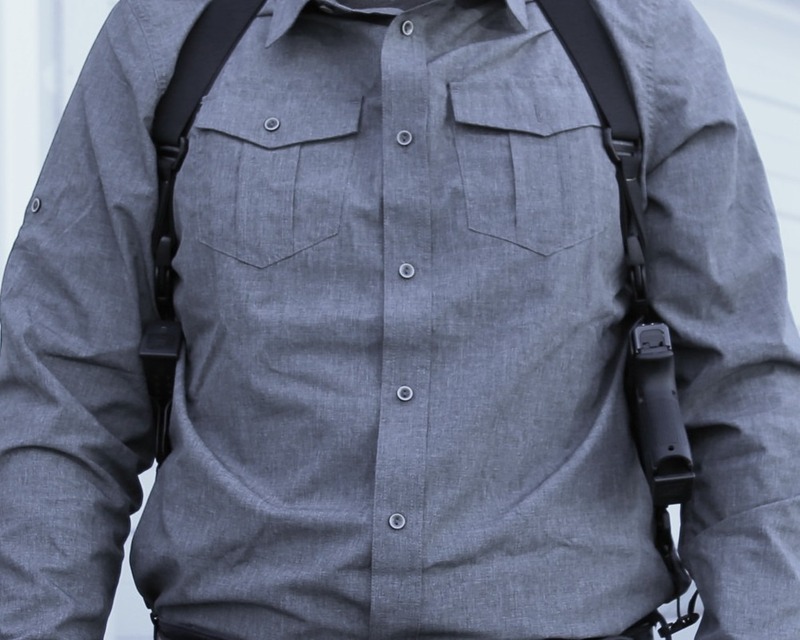 And yet the shoulder holster seemingly has fallen out of favor in recent years. Perhaps it’s due to the advent of new materials such as Kydex and new carry styles such as Appendix IWB. Perhaps it’s because most of shoulder holsters on market are made as cheaply as possible, with little attention to the important details. Just another piece of poorly constructed nylon destined to be forgotten in a drawer somewhere. For the longest time shoulder holsters were hamstrung by inferior retention systems, poorly thought out harnesses and bad finish details. But at GunfightersINC, we hope to change the trend of poor fit and bad materials. 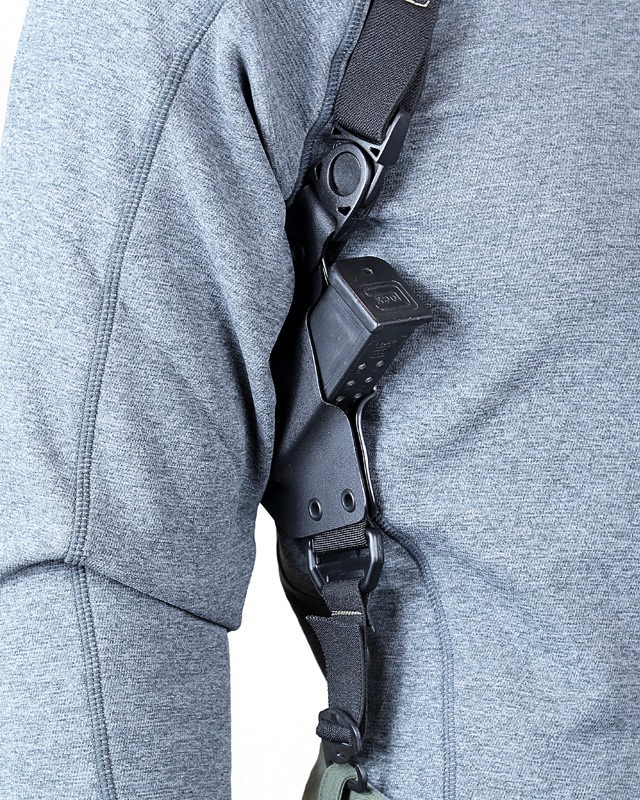 We’ve taken the shoulder holster back to the drawing board and fully re-engineered it to viable option for modern concealed carry techniques. 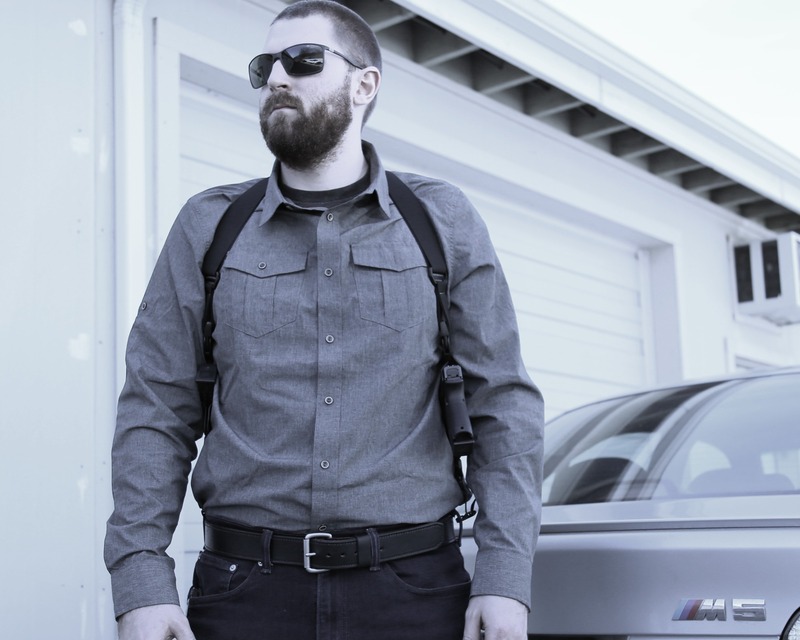 The Spectre Shoulder Holster is designed to be the deep concealment companion to the Kenai Chest Holster. 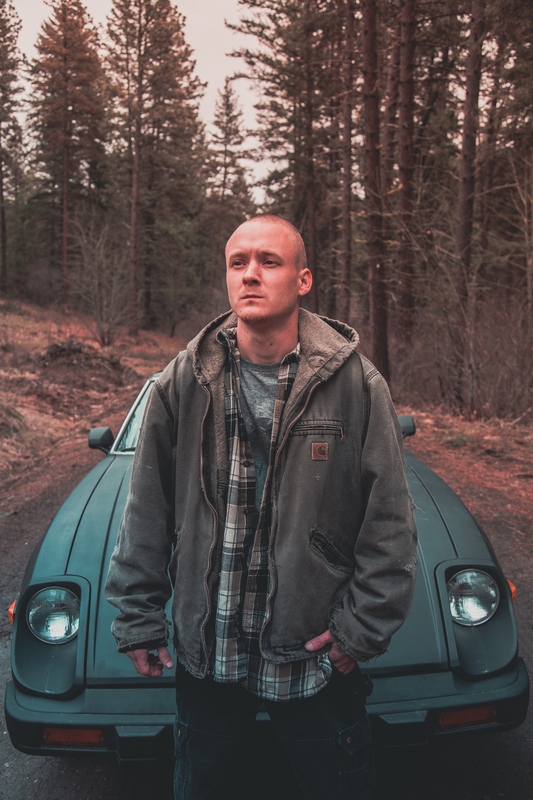 After tons of feedback from customers that have loved the Kenai and want a deep concealment option, we built the Spectre to meet the demand.